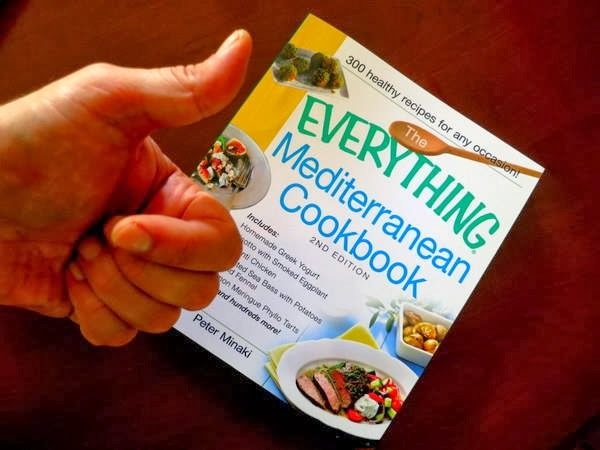 Popular Greek culinary specialist, Peter Minaki, author of The Everything Mediterranean Cookbook and the much-visited blogsite Kalofagas: Greek Cooking & Beyond, joins us in introducing you to the joys of Greek cooking and the wonders of Lakonia. Meet the local bee keeper and learn about honey-based desserts; sample the local mezes of the region and create your own original tasty tidbits; learn the secrets of making various goat cheeses from three generations of farmers; sample the best of the regions fine wines and let Peter show you how to create exciting lunches and dinners in the local kitchens of Neapolis. And when your not sampling your Greek delicacies, enjoy a boat trip to Elafonissos Island for a swim at Simos beach and a lobster and spaghetti lunch, a visit to the Neolithic caves of Kastania, a day excursion to the Medieval town of Monemvasia and much, much more. View the full workshop itinerary, cost and other details by clicking the Greece 2014 button above, or to learn more about Peter and his work visit http://www.kalofagas.ca/. 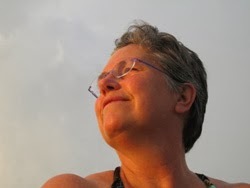 Join Sondra Holtzman, Connie Burke and Barbara Euser in legendary Southern Greece June 29-July 6, 2014 for an incredible journey of exploration and creativity. 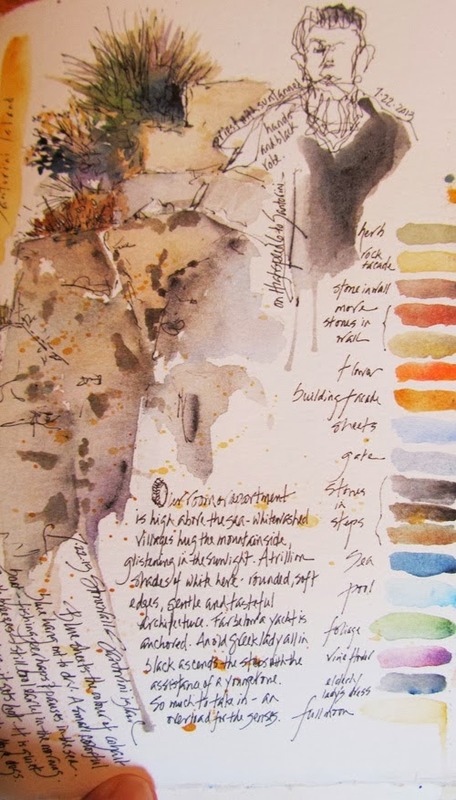 Working in small format, we'll incorporate sketching and painting in watercolor into personal journals, inspired by writing tips and techniques to fully capture this once-in-a-lifetime experience. Exploring Neapolis, Greece from a vantage point known only by locals, we will immerse ourselves in the culture and cuisine of one of the most spectacular areas of the world. All levels of painting and journalling experience are welcome. To view the complete workshop schedule click on the Greece 2014 button above, or to learn more about Sondra and her work visit www.thetravelingstudio.com and click on the Workshops tab.